This includes detailed medical history, nutritional and lifestyle guidance, stress management tips and ways to track fertility. Courses can be shared and there is no time limit for treatments. Payment can be made by cash, cheque or via BACS for packages. Cheques to be made payable to Mrs Lindsay Mitchell. Pricing for mobile treatments may vary depending on the distance of travel. Cancellations will require 24 hours notice otherwise full treatment price will be charged. Pricing for children varies as the length of treatment differs according to the age and needs of the child. For more information, please contact Lindsay directly. 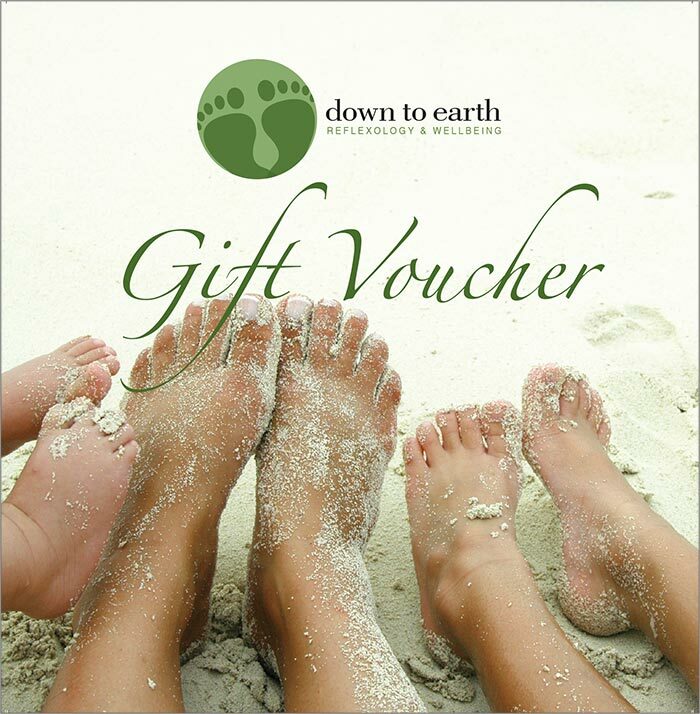 Down to Earth Reflexology vouchers make a lovely gift for your friends and family. Vouchers are available for full or partial payment towards a treatment. 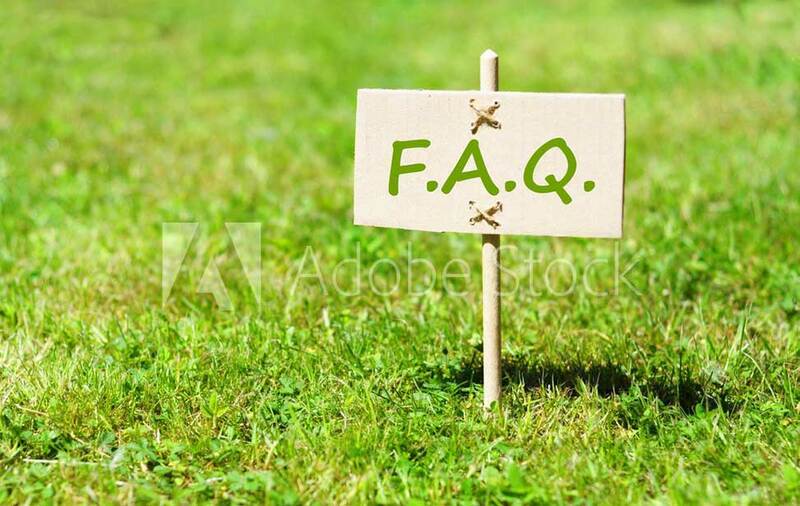 The following questions are frequently asked. To assist you in making the most of your reflexology treatment the answers below provide some helpful guidance. Yes! Other than removing socks and shoes and rolling trousers up to the knee for a lower leg massage, your clothes remain untouched. A blanket will also be placed over you so both warmth and modesty will be retained. Loose, casual and comfortable clothing is recommended. You will be reclined in the reflexology chair and want to be able to relax without tight clothing or belts digging in. Are all sessions the same length of time? No, your first session will be longer as a full confidential medical history will be taken prior to the treatment. It shouldn’t hurt but you may feel some discomfort if an area is out of balance or congested is located. The discomfort will only last a short time as the congestion is worked through and if necessary the point can be returned to and reworked later in the treatment. You will be asked about your medical history, lifestyle, current health and some more general information about yourself so that a holistic view of you can be built. This information allows the treatment to be adapted in order to best meet your needs. All information will be kept strictly confidential and you will be asked to sign a consent form. How do the treatments take place? You will be reclined in a reflexology chair covered by a warm blanket, so comfortable you may even fall asleep. I have ticklish feet can I still have reflexology? Yes, we have a number of options as to how to proceed. Reflexology is not a gentle massage, it involves various degrees of pressure and probing certain reflex points – most clients that have been treated who have worried about ticklish feet have been able to settle into the treatment without any problems. However, if we find an area on the feet is just “too tickly to treat” we can switch to using hand reflexology in order for you to receive a full treatment. Can you diagnose what’s wrong with me? No. A reflexologist is unable to diagnose or cure medical conditions. Your feet may indicate areas that are congested or out of balance within your body and we will be able to discuss what we find but if you have questions regarding a medical condition you should see your GP. Unfortunately there is no single answer as everyone can react differently. However, most clients feel relaxed and calm and often state they slept well after the session. You may feel a bit “heady” later as though you are getting a cold but this will only last a short time and is a good indication the treatment has had a positive effect and toxins are moving out of the body. You will be given after-care advice to help maximise the treatment and suggestions as to how you might continue to work on improving your wellbeing. In order to maximise the benefit of your treatment it is advisable afterwards to: drink plenty of water to rehydrate and to help flush toxins from your body, avoid caffeine, nicotine and alcohol for 24 hours, try to rest and avoid eating a heavy meal allowing your body to balance and heal itself. This really depends on your needs. A treatment plan will be discussed with you at the initial consultation outlining the recommended number of treatments. If you’d like to find out how reflexology could help you.